Nothing defines the songs of the Great American Songbook more richly and persuasively than their urban sensibility. During the first half of the twentieth century, songwriters flourished in New York City, the home of Tin Pan Alley, Broadway, and Harlem. A lot of them were native New Yorkers, or else they got to Gotham as fast as they could. It was as if they were standing on the West Side of Manhattan, facing west and describing America to the Americans: not its geography or politics, but its heart. 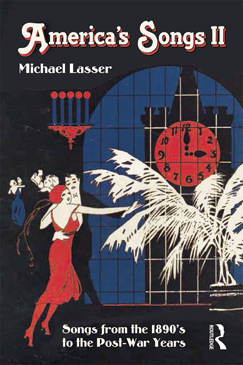 Michael Lasser's introductin to City Songs and American Life, 1900-1950 describes his coming of age in Broadway theaters and jazz clubs around Manhattan in the 1950's. The following chapters look closely at songs, but the book never ceases to give one man's take on the music he has lived with for more than half a century. First in exploration of the ways in which songs portrayed Broadway and Harlem. Then a chronological look at how the urban sensibility evolved in the early decades of the century, followed by the Twenties, the Great Depression, and World War II. Michael Lasser, a former teacher, theater critic, is host of the syndicated public-radio show Facinatin' Rhythm (winner of the Peabody Award) and the author of two previous books. For an inscribed copy, contact mlasser@rochester.rr.com. Check out Amazon.com to order. read the Introduction from the book. America’s Songs II: Songs from the 1890’s to the Post-War Years tells more stories behind the most beloved popular songs of the last century, revealing the many ways in which the creative collaborations between composer and lyricist led to songs that combined rich melodies, sophisticated harmonies, and smart rhythms with lyrics that reflected the slangy vitality of American speech, creating music both timeless and emotionally resonant. This companion to the bestselling America’s Songs reveals how intention and tuition, hard work and good luck, and beneath it all, an implicit sense of mastery, helped craft some of these golden standards of American musical history, and uncovers a rich trove of anecdotes that explore the intricacies of these dynamic relationships between some of the 20thcentury’s most well-known composers and lyricists. Beginning with the transformation of Tin Pan Alley in the 1890s and ending with the birth of rock ‘n’ roll and emergence of youth culture in the 1950s, the book also traces how ragtime, jazz, and the blues spread across the country to reshape American music in the century’s first decades, and how that music played a major role in changing American attitudes and behavior. 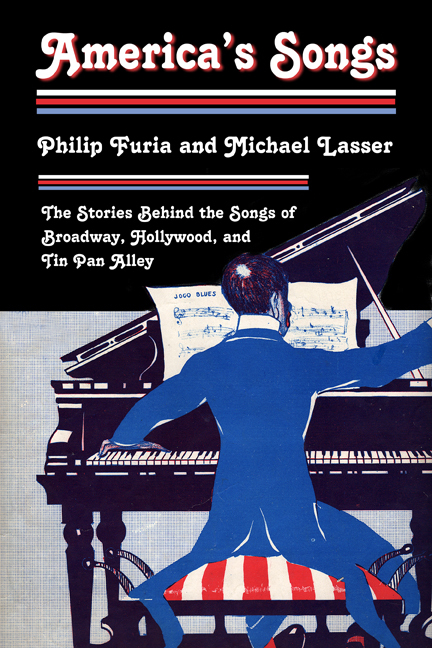 “Song,” the book begins, “is the most beloved of the arts.” And this book is in love with songs – mainly with American songs from the first half of the twentieth century, when our greatest songwriters – from Irving Berlin to George and Ira Gershwin, from Cole Porter to Richard Rodgers and Oscar Hammerstein – were at the height of their powers. 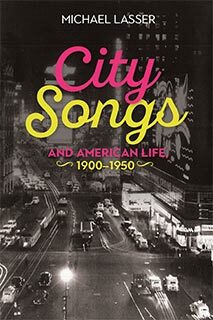 Writing about the greatest songs of the “Golden Age of American Song,” the book shows how they join music and words, sentiment and wit, into a seamless whole. It also traces the unpredictable give-and-take between composer and lyricist that results in a finished song. You’ll come closer to knowing why you love your favorite songs, and you’ll see songwriters in a more human light than ever before. "This is a good book just to pick up, read 20 pages, and come back to it a couple of days later and not miss a beat. You find yourself humming the songs as you’re reading about them." Check out the listing of booksellers on the Links page.